The Pennsylvania Fish and Boat Commission is having a disagreement with the state Department of Environmental Protection about the condition of the Susquehanna River. 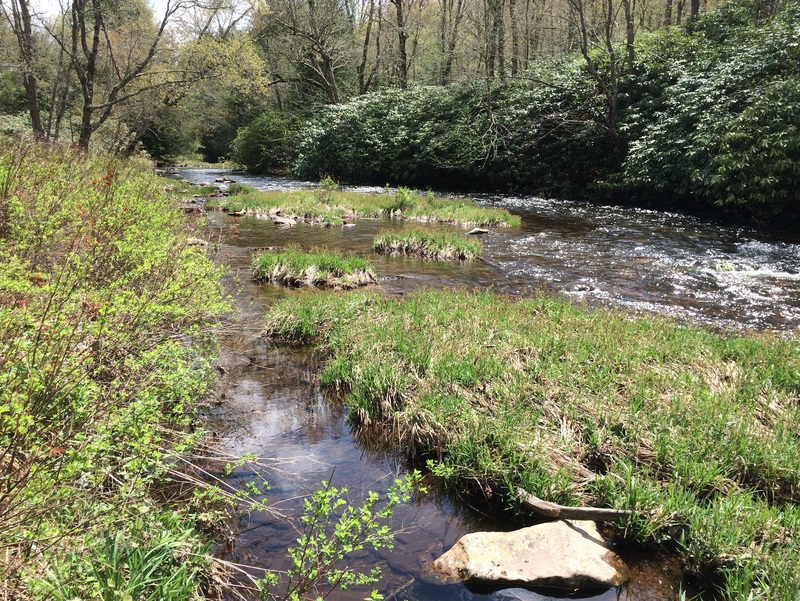 The PFBC says the river is in trouble and should be listed as “impaired,” which will put the river on a “pollution diet” and begin to address the problems. The DEP says there is no proof that the river’s problems are caused by any specific environmental issues. If you read the second link above, it sounds like the DEP may be waiting on more data from USGS and others before it moves on this issue. We’ve had similar issues in the past seven years or so on the Shenandoah, James, Potomac and other large rivers in Virginia and Maryland. These issues with fish kills, lesions and intersex bass all seem to be caused by a bad combination of environmental factors. So when the DEP says they have no evidence to zero in on specific causes, they are probably correct — technically. And this, of course, misses the whole point. If you live in Pennsylvania and are concerned about the health of the Susquehanna, read the articles above and contact your representatives. 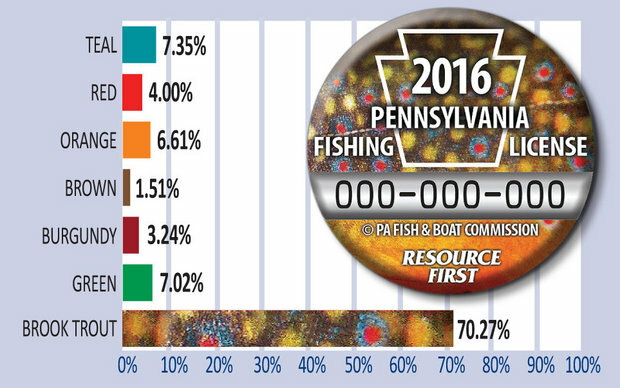 The Pennsylvania Fish and Boat Commission’s trout stocking info site is a great way to search for where they plan to stock fish in the near future. You can search by county, see the dates, types of fish and the hatcheries used to source each stocking. This is very detailed. I know here in Virginia we “chase” this info on the VDGIF stocking website after the stockings have occurred, and what the PFBC has done is much more useful for planning. 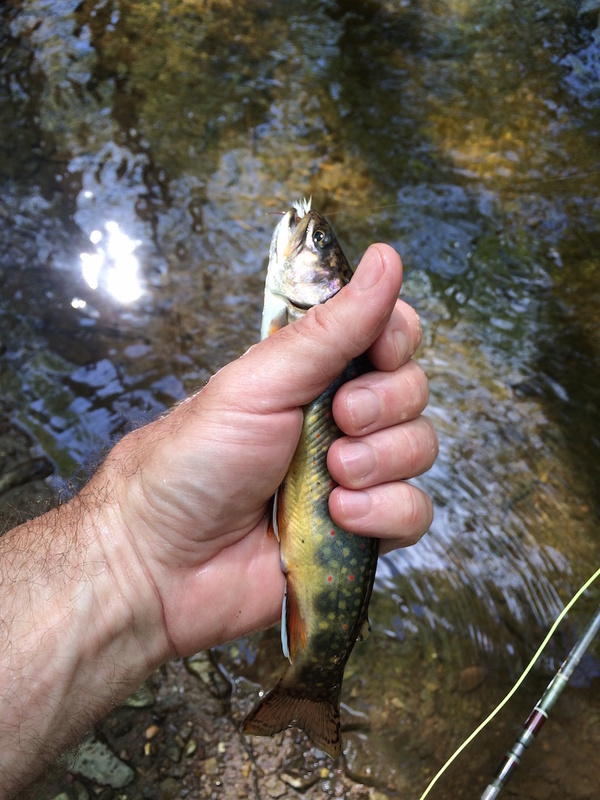 I’ve updated the Brook Trout Fishing Guide resources page with this link. Got to spend some time at the lake in the Poconos this summer. It’s the usual pattern this time of year. 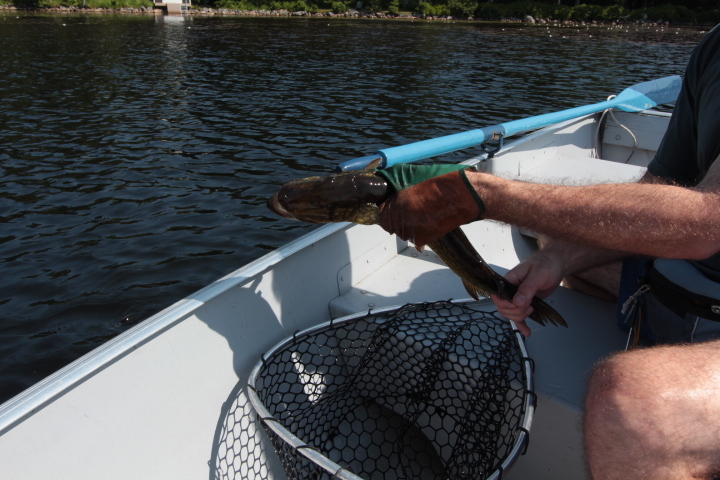 May — caught some nice pickerel. Late June — same. 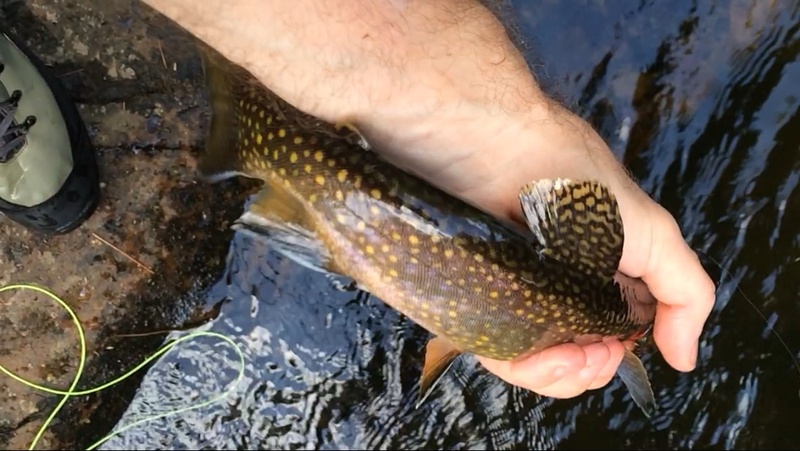 Late July and early August — low water, warm temps, the fish are nowhere to be found during the day since they are hanging out DEEP and literally chillin’. Had two bumps this past weekend but no hookups. I even abandoned the fly rod and went with the spinning rod and a Ratt-L-Trap… and everything else in the bag. Only thing left to do was 1) put on a strip of pork rind (I’m not too proud) and 2) get up early. We were having too much fun in the evenings to make (2) workable, and (1) just never happened. 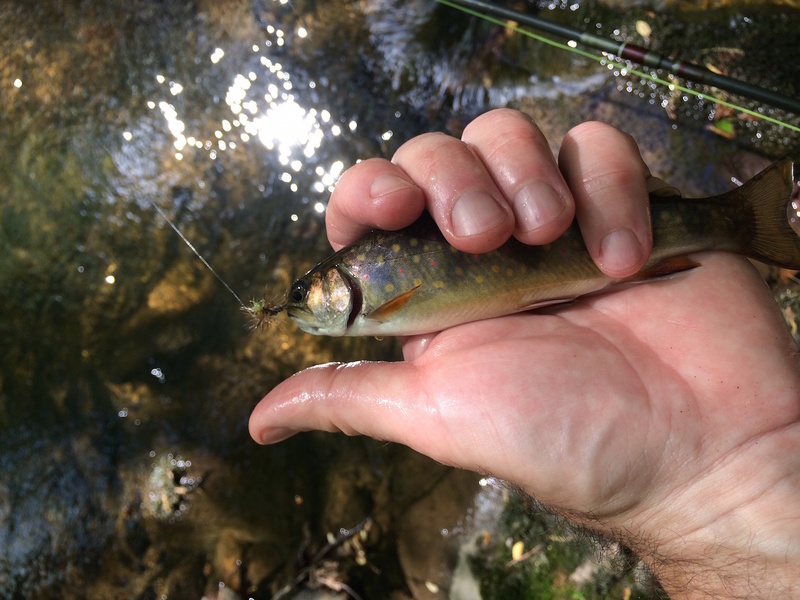 As far as the brook trout, I’ve left them alone recently. It’s just too hot. I think fishing for them when the water temps are in the high 60’s is worse in many ways than catching them when they’re spawning in the fall. Plus, they are so spooky that the two hour round trip hike in the heat and humidity to maybe catch a fish or two also put me off. The smallmouth are willing, though, if you go very early or at the other end of the day, around sunset. During the heat of the day you can try, but it’s usually (but not always) tough going. Due to a winter that never really arrived, the Mid Atlantic states are experiencing an early spring. Everything has been happening sooner this year. In my yard, the crocuses started blooming over two weeks ago and they’re fading now. That is at least two weeks early. Daffodils are flowering all over, again, two weeks earlier than usual. Following these botanical cues are the bugs, the hatches, and of course the fish. Fishing season is coming sooner this year for sure. Reports are confirming all of this. Douglas Dear from Rose River Farm in Syria Virginia reported this past week that Quill Gordons have started hatching — two weeks early. Murray’s Fly Shop reported Quill Gordons coming off the water yesterday afternoon in Shenandoah National Park as well. Bryan Kelly at Kelly’s White Fly Shop in Shepherdstown, West Virginia sent an email yesterday about smallmouth bass fishing around Harper’s Ferry on the Potomac and Shenandoah Rivers: “We are starting to guide this month. The fish are moving out of their winter patterns towards pre-spawn behavior. 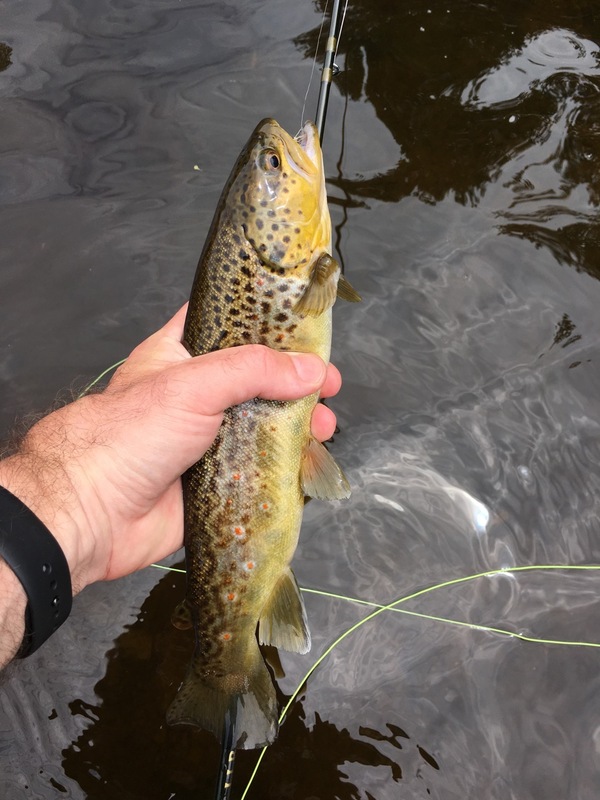 Spawn will be early, and summer patterns will be early… You need to be early…” If this pre-spawn behavior is starting now, that’s closer to three weeks earlier than last year in my neck of the woods along the main stem of the Shenandoah. Incidentally, he goes on to mention that the cicadas will be emerging along the northern section of the Blue Ridge this year, so tie up some big cicada patterns. So this could be shaping up as a phenomenal early season for us. Hopefully it’s not going to mean that the hot, low clear water conditions come early and stay longer, too. Perhaps we’ll see a nice stretch of cool rains in mid to late spring to break us out of this warm dry pattern we’ve gone through this winter. The U.S. Environmental Protection Agency has for the first time implicated hydraulic fracturing (“fracking”) in groundwater contamination. Though hardly the last word on this increasingly common practice for extracting natural gas from the ground, and not a blanket indictment of the practice, it is a significant finding. This whole issue is heating up in the east, with Pennsylvania and New York at the center of what has become a well-known controversy in the Marcellus shale region. My own view is that while it may be possible to do hydraulic fracturing safely in a lot of places, there have been so many allegations of energy companies contaminating groundwater and dumping the wastewater from fracking operations irresponsibly that it’s hard to feel confident about how safe it is. And I still don’t feel comfortable hearing from these companies that there is no reason to worry about the millions of gallons of water and toxic fluids being injected into each gas well since, as they claim, these fluids are put so far below the water table that this stuff will never find its way back up to contaminate our groundwater. How many times have we heard from companies, “Trust us, it’s safe,” only to find out years later how wrong they were. Once groundwater is contaminated, it’s not easily cleaned up. We don’t even know where a lot of this water goes once it seeps into the ground. We don’t have extensive maps of underground reservoirs and waterways. How can anyone guarantee the safety of the waters we drink and fish without understanding this in much greater detail? Be circumspect about all this. 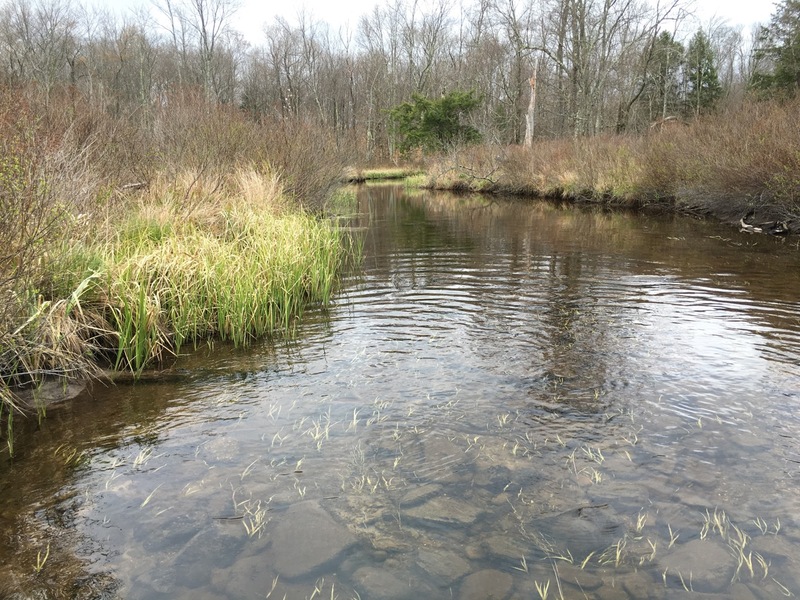 The brook trout that rely on all this groundwater are watching closely!